Can Crystals for Weight Loss Help You Slim Down? If you're looking online for the Sensa weight loss crystals, you may be surprised to see that has been repackaged is available for purchase again as Sensa Clinical. The original "sprinkle diet," as it was often called, was not available for some time after government agencies fined the company for making false claims. But as of 2017, the company was selling the updated version, Sensa Clinical. Sensa weight loss crystals gained instant popularity in 2009 when Dr. Alan Hirsch published "Sensa Weight-Loss Program: The Accidental Discovery That's Transforming the Way People Lose Weight." The book captured the attention of dieters who didn't want to change their eating or lifestyles to slim down. Instead, dieters purchased a complete Sensa Weight Loss System based on claims made by Hirsch that the product would help them lose weight by changing the way their brains worked with food. According to Hirsch, you could simply sprinkle special crystals on your food and the sprinkles would send a message to your brain to stop eating. He said that the weight loss sprinkle method was backed by independent research. Unfortunately, however, Hirsch's claims were not backed by scientific evidence and the Federal Trade Commission (FTC) intervened. On January 8, 2014, the FTC ordered marketers of Sensa to pay $26.5 million dollars to settle charges that they deceived consumers. The FTC planned to make the funds available for refunds to consumers who bought Sensa. According to the Sensa Clinical website, Voss Laboratories took over Sensa with a research-backed formula that still uses the sprinkles people liked in the old system. Sensa Clinical supposedly works in two ways: It suppresses the hormone that makes you feel hungry (ghrelin) and it blocks your body from absorbing calories. Unfortunately, however, the claims are (again) hard to verify. The company's website makes several statements about published research but provides no evidence of that research. If you do a quick search of relevant studies naming the brand or the technology you're likely to come up empty-handed. Additionally, if you read the small print you'll see that most of the attractive statements about the product's effectiveness have not been evaluated by the FDA. The company's website says that the product is manufactured in accordance with FDA standards, but it is not approved as a weight loss product by the FDA, nor does the FDA support any of its weight loss claims. Simplicity: In order to use the system, you simply carried a shaker of Sensa crystals and added them to your food. Dr. Hirsch said that the ingredients in the crystals changed the way your brain detected fullness and you would ultimately eat less food. Safety: According to the company, each substance in Sensa was on the Food and Drug Administration's (FDA) list of foods that are generally recognized as safe (GRAS). So dieters felt safe using the weight loss crystals instead of more potentially dangerous weight loss pills. No diet restrictions: Probably the most appealing thing about Sensa was that it allowed you to eat the foods that you typically eat. The company claimed that weight loss happened because you eat less food overall as a result of feeling fuller faster. Celebrity endorsement: Actress Octavia Spencer became the spokesperson for Sensa and endorsed the diet as the reason she was able to slim down for the red carpet. Ms. Spencer is no longer affiliated with the diet. 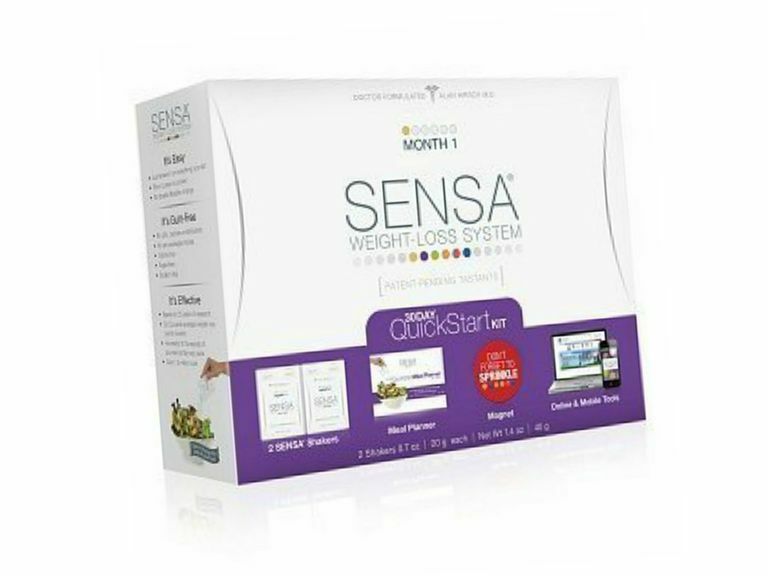 No dietary change: The Sensa weight loss system did not require you to change your diet so even if it did help you to slim down, you may not have seen improvement in your risk for certain diseases like high blood pressure and cardiovascular disease. Hazy science: From the beginning, weight loss researchers said that there was little scientific evidence to back up the company's claims. While a scientific research study was cited on the company's website, the study details were unclear. The research was conducted by the company's founder and was not published in any well-respected medical journals. Too expensive: Ultimately dieters who did lose weight with Sensa probably did so because they controlled their portion sizes, not because they sprinkled crystals on their food. The cost of the product didn't seem worth it. Unfortunately, when weight loss products sound too good to be true, they usually are. The original Sensa Weight Loss System is a perfect example of why dieters need to be smart when choosing the best diet for them. The jury is still out on the new Sensa Clinical weight loss sprinkles.